Come try out the newest member of our tennis equipment family! 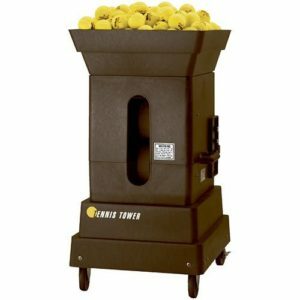 The Tennis Tower is a state of the art ball machine. With the push of just one button, the Professional Player mode (Patented) simulates a player on the other side of the net! 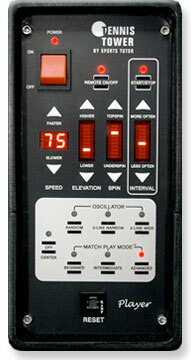 This machine includes a Multi-function remote control for various player modes including “Match Play Mode” to simulate a beginner, intermediate, or advanced level opponent. To learn more about this new machine, Click Here!